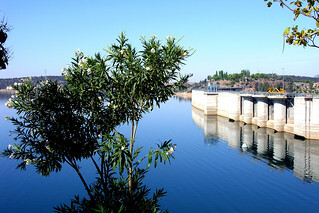 The Extremadura region lies in western Spain and is home to important European wildlife locations such as the International Tagus River Natural Park and the recently (2007) declared National Park/major reserve of Monfragüe, which is world renowned as a diverse species bird watching paradise. 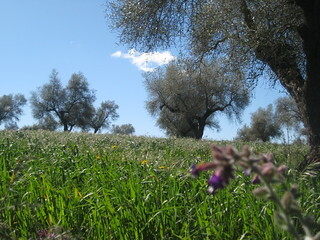 This has made Extremadura very popular with both dedicated walkers and wildlife lovers. There are lovely footpaths, stone walkways and trails dotted throughout the countryside suitable for most styles of hiking. The Extremadura region borders Portugal to the west. This otherwise little known area, also has fantastic Spanish neighbours within easy proximity, as it’s bordered by Ciudad Real’s Castile-La Mancha, Andalusia’s Huelva, Córdoba and Seville and Salamanca/Ávila’s León, Castile and Toledo . For the dedicated hill walkers, the Sierra Morena, separating Extremadura from Andalusia to the south and the nearby Sierra de Tentudía (peak 1104m) are interesting climbs. Similarly the Sierra de Montánchez, Sierra de San Pedro and Sierra de las Villuercas (peak 1603m) in the centre of the Extremadura region. 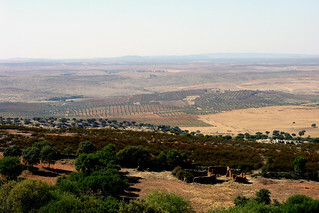 The climate of Extremadura is typically Mediterranean, with hot, dry summers and mild winters, with regional variations depending on height and /or proximity to the (Portuguese) Atlantic coast. Extremadura is also renowned for food and local produce, with ultra-pure olive oil, characterful wines, unusual Casar and Serena sheep’s cheeses, unique taste Vera valley paprika and locally cured ham. 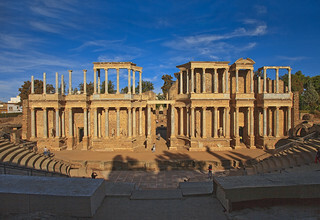 Extremadura has a unique identity, owing to its history, location and nearby influences. 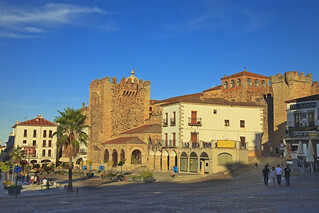 The World Heritage Site of Cáceres has one of the the world’s best preserved medieval quarters. Mérida (also a World Heritage Site) contains superb examples of Spanish art and an amazing selection of Roman history and architecture.